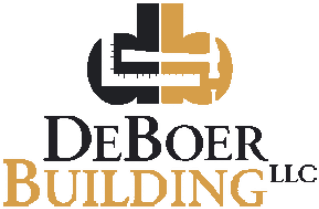 DeBoer Building and Repair was launched in May of 1985 ﻿by﻿ its founder and current owner, Ben DeBoer. Ben’s interest in building began when he worked his father’s rental properties as a young adult. As with many small businesses, for the first few years the employees consisted of only Ben and one helper and they remodeled anything and everything. Customer satisfaction was top priority right from the start. The mindset that the customer’s needs come first helped DeBoer Building and Repair grow through the late 80’s and into the 90’s. During this time, 2 lead carpenters were hired, one of which was Ben’s brother Ron who is a driving force behind the success of DeBoer Building. In 1999 DeBoer Building and Repair changed its name to DeBoer Building, LLC. We have had the privilege of working with so many wonderful people over the years and we are grateful for the opportunities and talents we have been given. The strength of DeBoer Building comes from our commitment to customer satisfaction and attention to detail as well as providing quality workmanship at a fair price. We look forward to helping you remodel your home to fit your lifestyle.